Scientists say they’ve found ice on the surface of the moon — a potential water source for future human moon explorers. 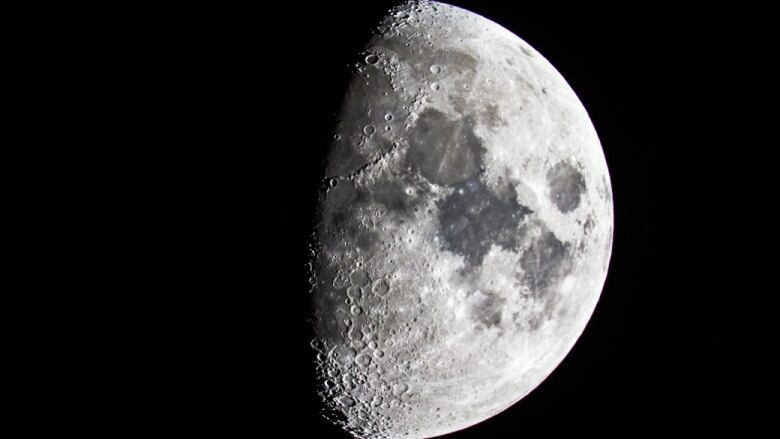 Scientists say they've found ice on the surface of the moon — a potential water source for future human moon explorers. Most of the ice sits in the shadows of craters near the moon's poles, reports a study published in the Proceedings of the National Academy of Sciences this week. Because of the moon's slight tilt as it rotates on its axis, parts of those craters are never exposed to sunlight. There isn't a lot of moon ice — it's found in only about 3.5 per cent of the area of those "cold traps," where the temperature never creeps above -163 C.
That's a lot less than what's found on places like the planet Mercury or the dwarf planet Ceres. The ice on the moon is also far dirtier — "intimately mixed with dry regolith" or lunar rock and dust, the study said. Still, a news release from NASA's Jet Propulsion Laboratory is optimistic that it could be a valuable resource. "With enough ice sitting at the surface — within the top few millimetres — water would possibly be accessible as a resource for future expeditions to explore and even stay on the Moon, and potentially easier to access than the water detected beneath the Moon's surface," the release says. 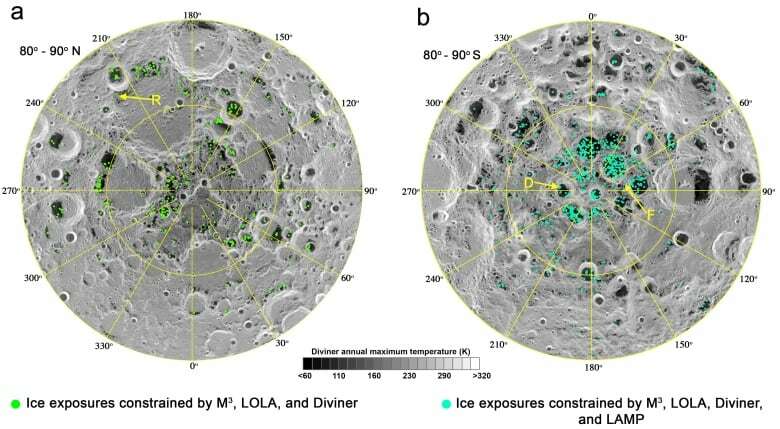 ​"Learning more about this ice, how it got there, and how it interacts with the larger lunar environment will be a key mission focus for NASA and commercial partners, as we endeavor to return to and explore our closest neighbour, the Moon." The ice was detected by the NASA's Moon Mineralogy Mapper, an instrument aboard the Indian Space Agency's Chandrayaan-1 spacecraft, which launched in 2008. The device is designed to detect both the reflection of light off the ice, and the signatures of infrared light absorbed by materials like water and ice. The study was led by Shuai Li of the University of Hawaii and Brown University and included Richard Elphic from NASA's Ames Research Centre in California's Silicon Valley. If the moon had oceans, what would its tides be like?